1.1 Why Choose Digi Embroidery? 1.1.1 What Custom Embroidery Digitizing Services Do We Provide? 2 What Is Embroidery Digitizing? 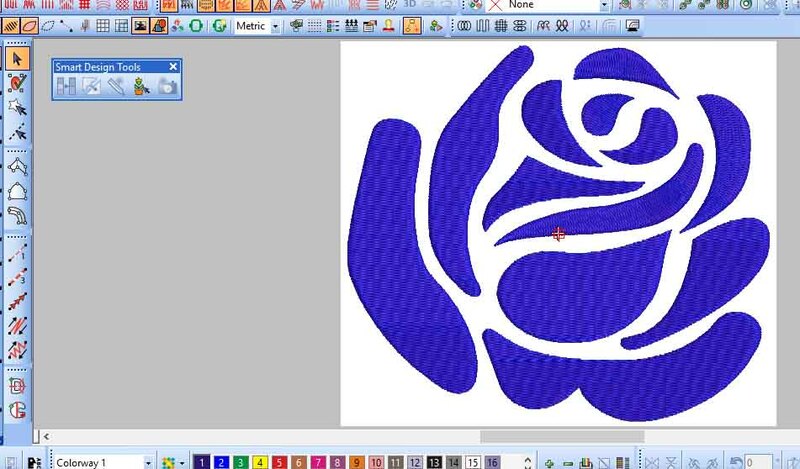 2.2 What Embroidery Digitizing Software Do We Use? 2.2.1 How to Convert JPG To Embroidery File? 3 How to Convert JPG to DST? To order to convert image to embroidery file free, visit our homepage right now or slap on the left side button to contact us now. Looking for a best embroidery digitizing service provider to convert image to embroidery file free now? Get in touch now to digitize your image. Convert it to an embroidery file at the cheapest price. Contact Us now for your first 1000 stitches free trial. We provide high-quality embroidery digitizing service at the cheapest price. So, visit our “Homepage“ now to order your digitizing. Digi Embroidery is highly recommended for the best quality in a quick turnaround. If you are looking for a free trial digitizing, is the first choice for you. We offer to convert image to embroidery file free for the first 1000 stitches. Also, we provide the quickest turnaround time for our service. To know more about us, visit our homepage right now. Digi Embroidery is the best embroidery digitizing provider online. The peoples who know about our beatable pricing packages will definitely choose us. Our service, beatable prices, quick turnaround, and clients satisfaction rate will impress anyone. So, the people who visit our site will must choose us for their digitizing. Also, our clients refer their friends to our service. That’s only because of the quality. We have 3 pricing packages. It starts at $1 only. To know more about our pricing, you can take a look at our homepage. Also, our turnaround time is very impressive. We take 1 to 12 hours for normal files digitizing. So, overall Digi Embroidery is a very good digitizing provider you can choose. What Custom Embroidery Digitizing Services Do We Provide? We are an online based embroidery digitizing company for worldwide clients. Our best offer is to convert image to embroidery file free trial of first 1000 stitch. We provide all kinds of custom embroidery digitizing service. From logo to flat stitches and from flat to sequins and applique, we provide all kinds of digitizing online. Here you can meet some related names of different digitizing services we provide. Etc all kinds of digitizing embroidery service we provide professionally. So, Contact Us now for any kinds of custom digitizing. Also, you can freely ask us if you have any question about these services. Embroidery digitizing is a digital machine-readable file. That used on a machine to embroider the design on fabric. So, the design file that used on an embroidery machine called embroidery digitizing. Also, embroidery digitizing have many formats and differences. Mainly the digitizing formats we provide is here. These are the common formats that we provide. There are also some more formats available. So, feel free to let us know about the formats you need. We will try to provide it for you. Also, here we will describe some formats and their origins. It’s also an embroidery digitizing formats that used on Brother embroidery machines. Brother is a brand who made embroidery machines. But also it supports some other embroidery formats as well. To convert image to embroidery file free, these formats you can use. The DST is one of the major embroidery formats for the machine. Almost 70% of embroidery machines can recognize DST formats. Mainly it was made for the Japanese embroidery machines. But now many embroidery machines can read DST format to embroider on fabric. JEF is the embroidery digitizing formats for Janome machine. It’s also a nice embroidery machine you can try. So, the JEF is the default format os this Janome machine. DSB is the embroidery format used for Barudan embroidery machine. We know that Barudan is the most powerful embroidery machine ever. It’s famous for it’s quality and long lasting life service. Besides DSB, also there are some other digitizing formats that Barudan machine can recognize. It’s also a format of Barudan machine. Mainly the U01 is used for the twin sequin. Normally for the normal design, we can use DSB format for that. But for twin sequin and some other special designs, we need to use this U01 format. The TBF is the format that used on Tajima embroidery machine. And it’s also mainly used for the twin sequin designs on Tajima machine. Like other machines, Tajima also needs a different format for twin sequins. EMB is the default design format of the Wilcom embroidery software. It’s a source file format of the Wilcom embroidery digitizing software. And you can modify it always as a source file. So, if you have this software, you can access this file easily. 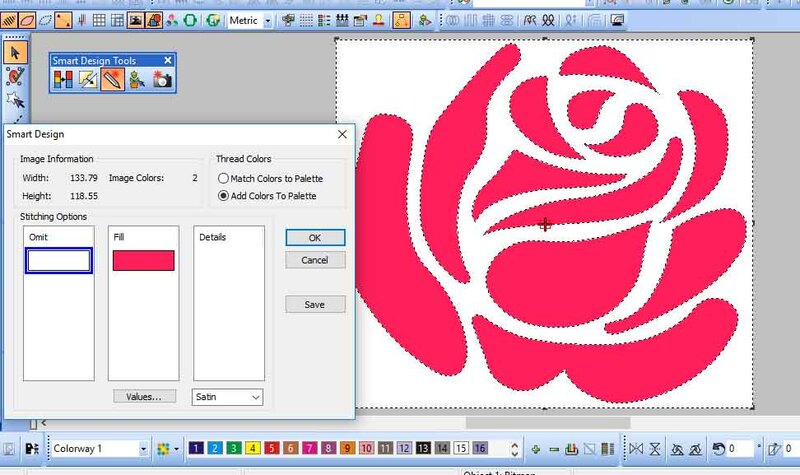 What Embroidery Digitizing Software Do We Use? There is huge embroidery digitizing software available in the market. You can try them for your digitizing. Mainly the most used software is Wilcom. Dahao, Tajima DGML etc. let me give you a short brief about some of them. Wilcom is the most popular embroidery digitizing software. It’s also expensive from others. Mainly people like Wilcom is for it’s nice looking tools and smooth digitizing. It’s a real pleasure for a user to work with Wilcom. It has many versions on the market. Embroidery Studio e1, e2, e3 and e4 etc. So, you can try Wilcom now. To get a free trial, you can Contact Us. Also, you can buy it at the cheapest price. But careful, do not download it from the untrusted sites. Also, Dahao is famous nowadays for sequin digitizing. It’s a new digitizing software than others. But Dahao contains some best function for the latest sequin. It’s can digitize a sequin design in just 10 minutes. While other software takes hours. So, the companies who have huge sequins orders can try Dahao. It’s also the cheapest software I think. Also, sometimes you can get a free Dahao with Chinese machines. Tajima DGML is also an embroidery software. Mainly it used to digitize files for Tajima machines. Also, you can use this for other machines as well. But it’s a bit complex for some digitizing. So, if you are looking for the best embroidery digitizing software. Then try Wilcom now. How to Convert JPG To Embroidery File? To convert JPG to embroidery file, you can use any embroidery software. But the software that I have suggested, you can try them first. Because they are the best user-friendly and comfortable to use. Also, you can try some other software that supports your machine as well. To convert JPG to embroidery file, you can also order us now. We provide top rated embroidery digitizing for you. We have over 8 years of experience in digitizing embroidery. Also, we provide unlimited free revisions. And if you want to learn embroidery digitizing, we also can train you. Our professionals will give you classes for basic and advanced digitizing. Just for all your needs, you can contact us from our contact page. As soon as you send a mail, we will respond ASAP. If you are looking for convert image to embroidery file free, Digi Embroidery can provide you free 1000 stitch trial. The clients who want to try our digitizing quality can order for free trial. How to Convert JPG to DST? If you want to convert image to embroidery file free, then you need an embroidery software at first. But only embroidery digitizing software is not enough for a new person. You need to learn how to digitize machine embroidery designs. In that case, we can contact us for any digitizing software of digitizing training. So, here I will shortly explain to you how to convert JPG to DST yourself. Also, I will show you some quick and easy techniques to auto-digitize them. Let’s get to work. First, open a new page to the Wilcom software. After opening a new page, insert your JPG image on the page. Then go to “Auto Trace” program. And then click on the “Reduce Color” button. As you can see in the pictures above. So, after clicking on reduce colors you need to reduce unnecessary colors of the image that you want to omit. Finally, after reducing colors, you need to click on the “Smart Design” button. Once you click on “Smart Design“, just wait for the stitch tracing. After all, in less than a minute, you can digitize your logo automatically on Wilcom software. So, your file is ready to send to the machine. But you need to know some tricks before auto-tracing any designs. Only you can digitize normal and fewer color logos with this tool. But lettering, complex logos and other files you can’t do with this tool. You can do it but, it will not be good quality at all. To get better quality digitized logo or embroidery files, Contact Us now. We digitize embroidery designs manually and fully by hand. Because it’s easy to customize the stitches and the quality. So, for the best quality digitizing, you can visit our homepage right now. Digi Embroidery provides highly recommended embroidery digitizing service. Our digitizing service is highly recommended to our clients. As a result, we have got 5-star ratings from our 98% clients. Here you can check our reviews from the clients. Thanks for reading this article about how to convert image to embroidery file free now. Hope you have learned many things about embroidery digitizing from this article. Feel free to let us know any suggestion and information that you need about digitizing or embroidery. Stay connected with us with our Embroidery Digitizing Facebook Page.